“It’s not a replacement for the still very valid goals of ‘restoration’ and ‘ecosystem health,’” says Marilyn Latta of the State Coastal Conservancy’s Living Shorelines Project. “It’s is about [visualizing] those concepts through the lens of climate change.” From this perspective, she says, resilient refers to natural habitats being as strong and robust as possible (in terms of ecosystem structure, functions, and services) as soon as possible in order to best withstand stressors such as changing temperatures, freshwater regimes, and sea level rise over the long term. Even after half a dozen interviews and numerous papers explored to write this story, the details on the actual characteristics of resilience are still fuzzy. The fuzziness is both a strength (in terms of universal appeal and application to everything from hedge funds to emergency preparedness) and a weakness (in terms of the lack of a way to measure it scientifically, not to mention some ambiguity about the desirability of any status quo we are trying to make resilient, such as the current Delta). Officially, definitions of resiliency range from the social — the capacity of individuals, communities and systems to survive, adapt and grow in the face of stress or shocks – to the ecological — the amount of disturbance an ecosystem can withstand without changing self-organized processes and structures. Last year a San Francisco Estuary Institute team led by Erin Beller made what is widely viewed as the first successful attempt to defuzz resilience in a project funded by Google. 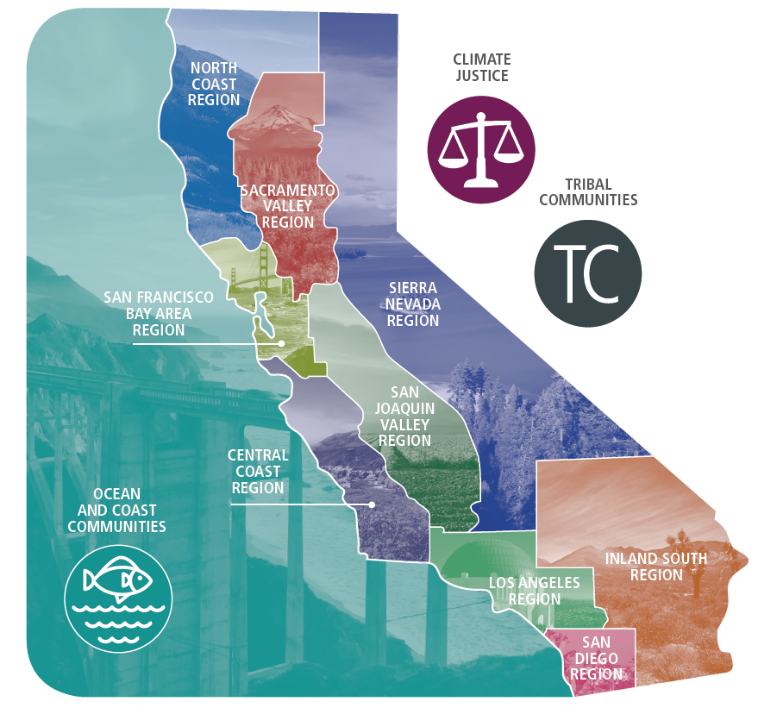 They convened a strong national science panel to vet the working definitions and applied the tenets to a watershed-wide vision of ecological resilience in relation to infrastructure and land use in the South Bay, according to coastal ecologist Peter Baye. Resilience is clearly about coping with change, whether it’s social, ecological, political or physical. Any evaluation of this coping ability seems to begin with two questions: resilience of what (a river, a bird, a city, democracy?) to what (hotter days, rising seas, crime, pollution, invasive species, super PACs?). Size also matters for resilience, as we learned from the 2015 State of the Estuary Report’s evaluation of marsh patches. You have to have big enough patches of remaining habitats, linked by wide enough migration routes, for wild things to withstand disturbance. When scientists recommended restoring 100,000 acres of tidal marshes around the Bay, in large enough patches to have more complex channels and drainage systems, they were thinking about earlier concepts like resilience. They knew that certain species only thrive if their habitats are big enough. When humans are around, bigger also provides more room for mistakes like open sewer valves at the end of a broken tank drain that create perturbations like the 1988 Shell Oil spill onto Martinez marshes. Indeed, any system needs a back up to be resilient. If one habitat gets oiled, or if one bridge falls in an earthquake, there should be alternates. That’s why redundancy and diversity — like scale, connectivity and viable processes – are other important elements of resilience. Don’t plant just one kind of shrub, plant a whole range with different tolerance levels for heat stress. If one Internet server fails or gets hacked, make sure there’s a way around it. Of course no one naturally anticipates unusual events and humans enjoy exerting controls based on an assumed continuum between past, present and future. This may be why our nation’s natural resources regulations embody a preservation paradigm aimed at saving individual species from extinction rather than bolstering the integrity of ecological systems. “The concept of resilience is being thrown like a blanket on top of existing legal mandates,“ writes Melinda Benson et al. in an interesting set of journal articles on resilience in natural resource management. “While managers might want to embrace resilience on a conceptual level, directives will inevitably default to core statutory and regulatory requirements,” she writes. Lately the clamor for updates of our core environmental mandates, many of which were conceived in the 1970s in a time when we had to get a grip, via command and control, on rampant pollution and ravaged wildlife, has gotten louder. Resilience theory is helping to push the envelope, writes Benson. So is the fast-expanding Pacific. At the State level, Governor Brown is leading the way with carbon emissions crack downs and an executive order directing State managers to give priority to soft, natural infrastructure, such as marshes, over hard walls in protecting themselves from coastal storm surges and sea level rise. In the Delta, the mindset seems stuck on quick engineering fixes, which can hamstring future adaptability. It may be valiant to say the needs of fish are equal to the needs of people, when it comes to scarce water, but in practice neither species seems to be becoming more resilient as a result. In the Bay Area, among the top ten metropolitan areas seriously threatened by sea level rise according to national studies, the hope is to mainstream resilience vision into capital improvements of aging infrastructure. In a time of rapid change with expensive consequences, managers are looking to those already engaged in updating flood control channels, highways, bridges, levees, dams, storm drains and wastewater treatment plants to incorporate resilience thinking. “Ideally every time a city or county or flood control district has to do a big infrastructure update, they would think about ecosystem resilience at that moment, “ says Letitia Grenier. In this scenario, municipalities and water districts would have a vision in their pocket so they could see the opportunities to maintain a healthy environment, she says. So instead of just moving the road back from the shore to prevent flooding (a single benefit), for example, they might raise it up on a causeway so the tides could build a buffering marsh under it (purifying the water, protecting developed areas, supporting wildlife, and providing shoreline recreation, among many benefits). “We can’t expect government to fix all our problems and landscapes. It has to be government and us together,” says Grenier. To get more specific, just how does resilience thinking help us face the two biggest perturbations on the Estuary horizon: drought and a projected rising sea level that calls for action now, before the rate of rise accelerates mid-century? Can, and are we, succeeding in applying resilience thinking on the water, shore and ground? In the case of the Delta, one of the most altered and over-committed water systems in the world, three top scientists seemed skeptical about whether concepts of resilience even apply. Clifford Dahm thinks parts of the Delta could be made quite resilient, though he prefers a passive rather than human-engineered restoration approach. Creating a “more natural functional flow regime,” rather than the highly altered existing flow hydrograph is one pathway he sees toward more resilience. Sam Luoma thinks we might soon see the Delta cross a threshold into another state. “At the extreme ecosystems appear to flip into different stable states if their resilience is exceeded,” he says. In this new state, Delta managers would have rethink how they judge success or failure of any flow, habitat or species restoration efforts. Bay restoration projects increasingly plan for rising sea levels, such as these marsh mounds for critters fleeing high water at Sear’s Point in the North Bay. Photo: Bird’s Eye View. Now that the easier stuff is done, at least in terms of restoring thousands of acres of wetland habitats around the bayshore, those working on Bay resilience may start to experience similar challenges to their counterparts in the Delta. “If we want to restore ecological processes, we have to go up into the watersheds, where a lot of land is privately owned, and work on how we manage streams and sediment and flooding,” says Grenier. Climate planner Maggie Wenger says BCDC’s been using the term “resilience” to engage cities, counties and shoreline landowners for more than five years. 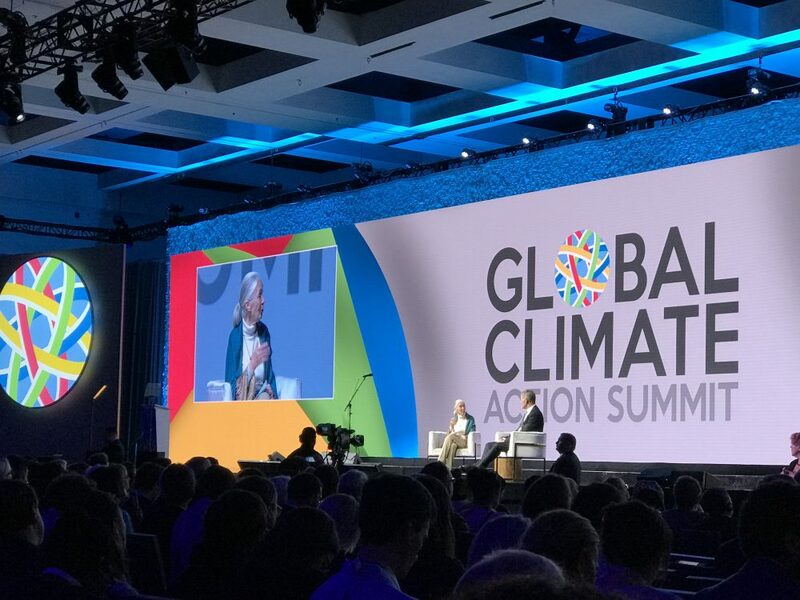 “People need to think about what options serve us now, and keep as many options open for the future as possible, instead of thinking ‘how high do I have to build the sea wall to protect everything just as it is, which is a losing proposition everywhere,” she says. Sinkoff sees resilience as a logical extension of another buzz word, sustainability, and one that adds a slightly different spin. For him and other shoreline landowners, the idea of resilience came into focus after Katrina, Rita and Sandy showed everyone just how damaging super storms could be to the nation’s coastal communities and infrastructure. “Thinking about resilience asks us to figure out where are our vulnerabilities and where are our strengths, and then to develop strategies to bridge the gaps,” says Sinkoff. One gap is the strength of the 1950s era perimeter levee around the Oakland airport; the Port is currently designing a significant upgrade to address flooding, seismic risk and sea level rise. Another is a stretch of Doolitte Drive along San Leandro Bay vulnerable to flooding,, according to Wenger. Her team is proposing that any major fix for this critical access route also include accommodations for a new segment of Bay Trail. “To have the trail next to road as proposed, you have to do fill, add riprap, and build a sea wall. We’d prefer to do that in conjunction with raising the elevation of the road, which gives us public access and flood protection at same time.” The combination could offer proving grounds for mainstreaming resilience into large infrastructure improvement projects. Across the Bay, Silicon Valley’s landscapes may benefit from the new mindset provided by the Google-funded Landscape Resilience Framework. “Resilience is such a powerful concept, but it’s proven slippery to operationalize in real places. Our new framework provides a systematic structure for understanding what landscape resilience really looks like — and most importantly, how to actually apply resilience ideas on the ground,” says lead author and environmental scientist Erin Beller. The products of Beller’s work can be found in two pithy and pretty publications that are welcoming to a non-science audience. Next steps include outreach to potential partners about how to keep resilience in mind while maintaining corporate campuses, parklands, and creek corridors.